After abandoning reading for watching videos, viewers can barely be persuaded to stick around watch a video. 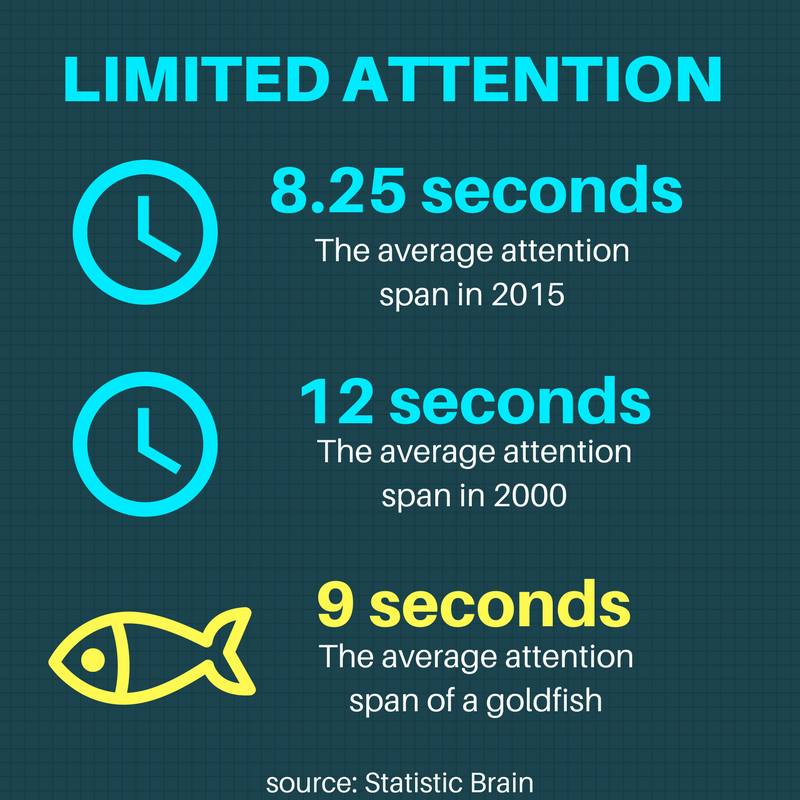 In fact, average attention spans have sunk below those of a goldfish. What’s a marketer to do? Data is showing that videos designed for no sound can help. The upside is there, given millennials are 112% more likely to share ads they like than other age groups (Unruly). But proceed with caution. We aren’t saying muting is enough – producing a video that works well without the sound takes some thought and effort. Movement and readable information within the video help make a video on mute work as illustrated by this clever jewelry ad by Kay Jewelry. Happy Holidays! Thank you for celebrating the last 100 years with us! Hotels.com won a well deserved Shorty Award for silent ad combining their usual cheeky humor with silence. The #IAmAWitness anti-bullying video produced by the Ad Council shows how strong graphics and data work well in silent mode. Good captions are key and Facebook has made that easier with automated captioning. Great examples of autoplay and silent ads over at the Facebook video creative spotlight area and Hubspot. Share your favorite autoplay and silent videos in the comments!